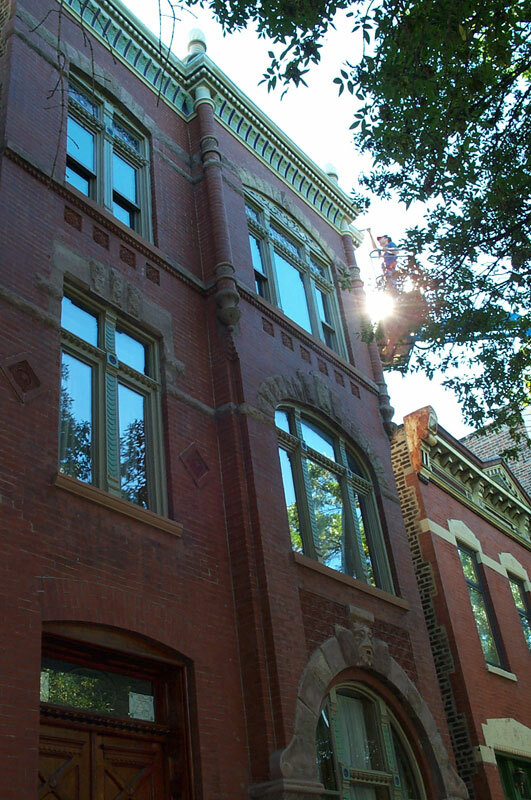 Chicago Green Windows was founded by a carpenter who believed there was a better way to do things than tearing out 100 year-old windows built from old-growth wood, and sending them to a landfill, while replacing them with cheap windows that would fail in only a few years. He also noticed the gradual disappearance of Chicago’s classic architecture, the very definition of our great city, as stylish windows were replaced with cheap vinyl, and window trim was covered over with white aluminum. Dan began his formal training as an apprentice carpenter in Chicago, completing hundreds of hours of classroom and shop training, and thousands of hours of on-the-job training working under Journeymen carpenters, who taught him the hands-on details of the craft. Through hard work and dedication, he achieved Journeyman status himself, although his real training had begun many years before as a youngster, working alongside his father, building and repairing buildings and fixing machinery. In between, he earned a degree in Economics from the University of Wisconsin-Madison, and managed many consulting projects in corporate America. He always loved construction and building, however, and eventually returned to his roots. In more recent years in Chicago, he worked as a carpenter building single-family houses in the suburbs, installing custom staircases, building commercial buildings, and later focused on finish carpentry, hanging doors, installing cabinets, and fitting elaborate trim for some of the areas finest mansions and law offices in downtown Chicago. He also became an informal student of building science, which is the study of energy utilization, durability, and moisture control in buildings. In 2007 he was briefly profiled in the City of Chicago’s Climate Change Action Plan as one of the “Ordinary Chicagoans Making a Difference”.